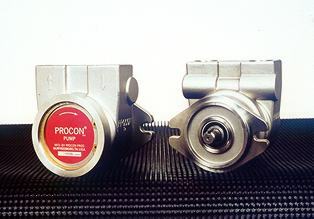 PROCON's Series 6 is designed and built to meet your needs for higher flows. The flow rate capacity for this pump ranges from 300 to 660 gallons per hour at 250 psi. This series pump is available only in bolt-on style. No integral relief valve is available. Dry Weight Approx. 15 lbs.